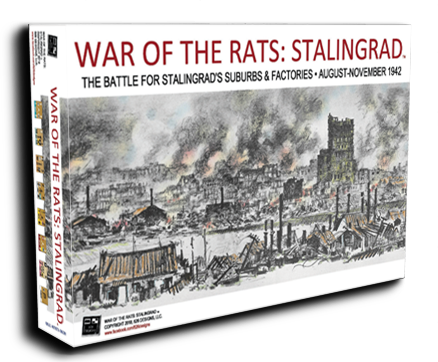 We recently touch bases with Russ Schulke of 626 Designs, LLC and asked about the status War of the Rats: Stalingrad boardgame. 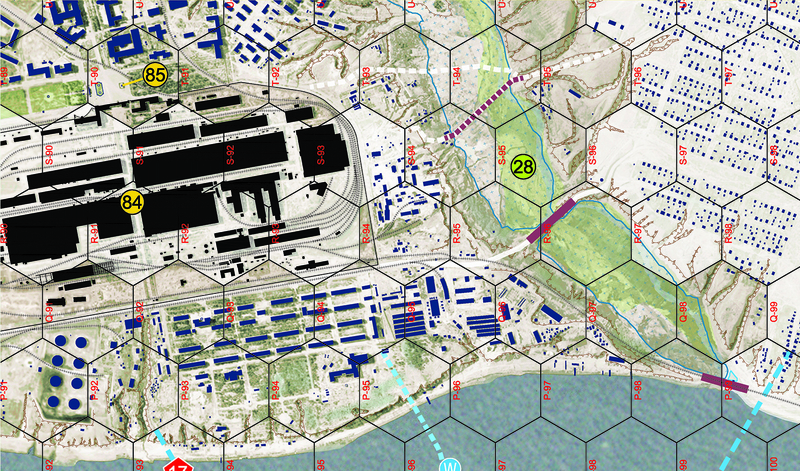 “It has been a busy year; most of this time has been directed to updating the new game to meet the parameters of the boardgame section of the U.S. Copyright Office. 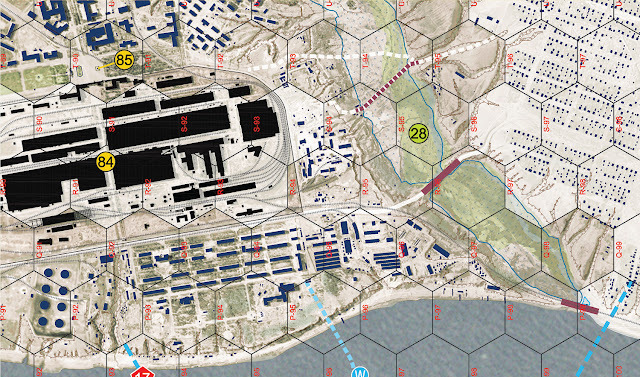 Last winter, a few members of the Winterfest Wargamers club playtested the airwar and the Volga Flotilla components of the game. The playtesting went well, and clearly showed the conceptual charting results and the reality of the actual gameplay, changes were made. Last month, I purchased the rights to the game box artwork from the Mary Evans Picture Library. This artwork was first published in the Illustrated London News, 23 October 1942. Last week, Greg S. (1990, University of Cambridge) joined the team and will be the lead proofer (quality control) for the map, scenario sheets, charts, and tables. Hopefully, his Queen’s English will come in handy. 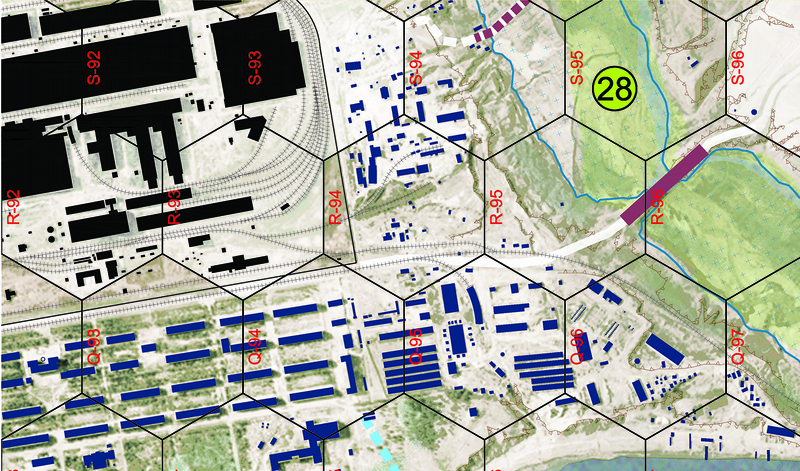 A formal webpage should be up mid-summer and right now I am still assessing the P500 (Pledge 500) or Kickstarter route to release the game"
Game map: 3 sheets 35"x 60" (Total size 102" x 60") 1" overlap per map. 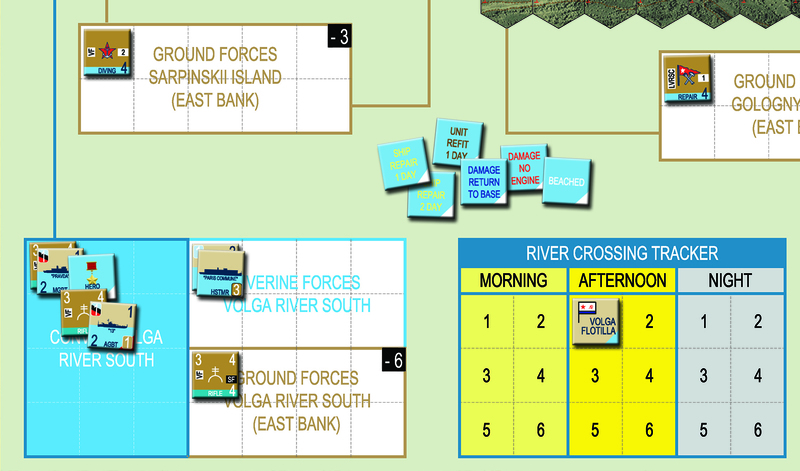 The map folds are strategically placed, and each sheet can be folded to the minimal size for most scenario requirements. 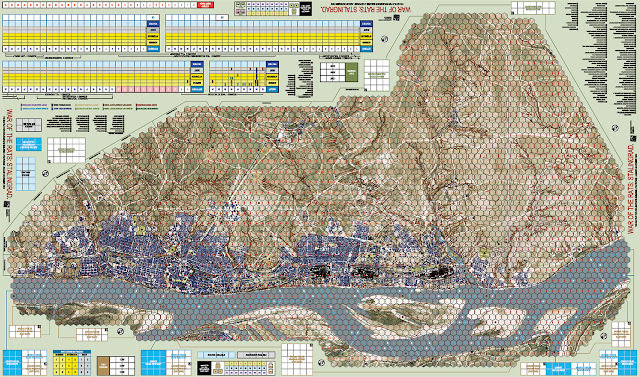 Alternatively, you can back-fold and add a few more maps printed charts. 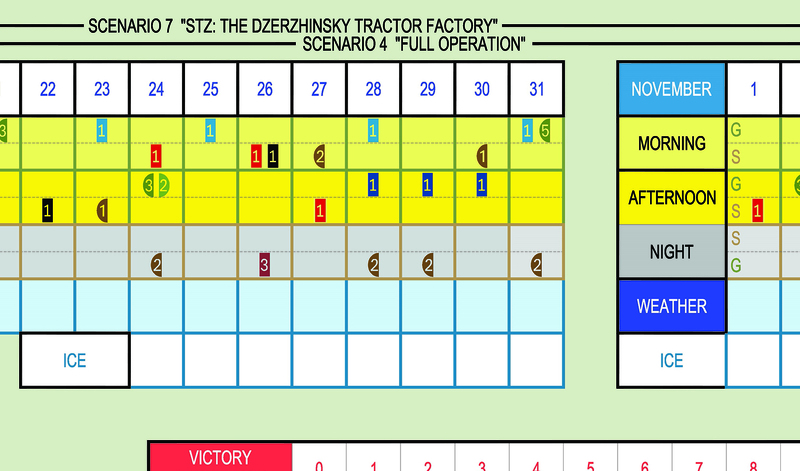 The game comes with a complete set of hand-held aids, charts, and tables. This project was created with AutoCAD (85%) and Photoshop (15%). Game map: The game map was created from 1942 German reconnaissance maps tied to GPS. 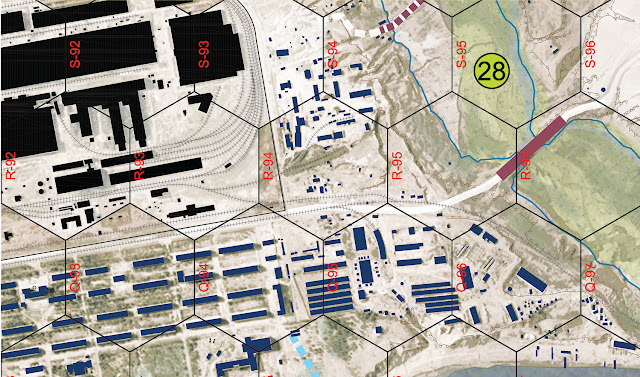 220,000 buildings and factories represented, the digitizing and colorization took about five months total. 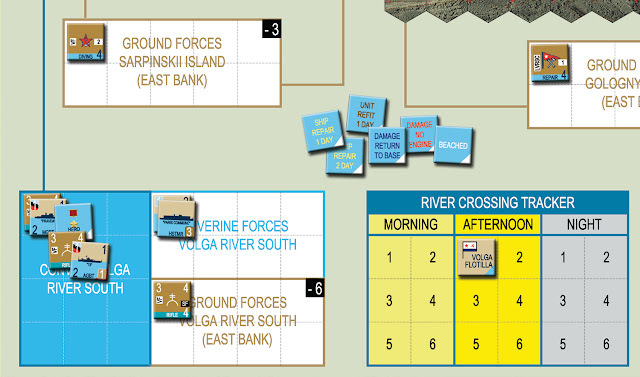 River crossing tracker: Units of the Volga Flotilla are preparing to cross the Volga River. Day tracker (morning/afternoon/night), weather and river ice tracker. 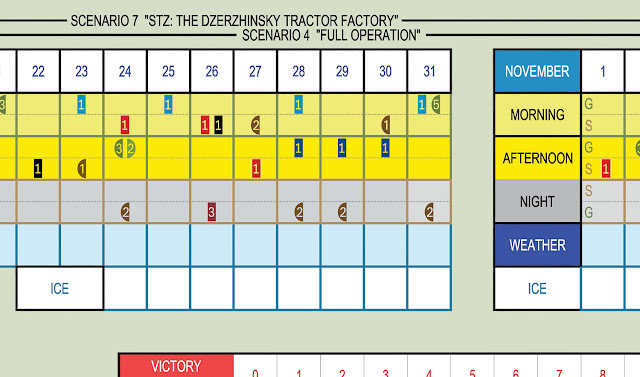 Thank you Russ, for the update on what is shaping up to be a great game about Stalingrad. Very excited about this new game. Hurry every chance you get.